The Beginning of an End – My thoughts, precisely. The news that had got me reeling this way was the news of Richard Griffiths’ death. Who is this Richard Griffiths, you might ask? Well, he played a very important, very memorable role in one of the biggest and most popular book to movie adaptations ever. Vernon Dursley. A character I loathed only less than Umbridge(that ghastly woman in pink) in the entire series, which just makes him all the more essential a part of my childhood. I grew up watching him torture his orphaned nephew just because his parents had been “different”. I saw how he spoiled his son rotten and how he let his fear of the unknown take over him by developing into sheer contempt. He made me realise the importance and worth of good people, good relatives – family that will support you no matter what. He taught me how to look at the world from a broader perspective and to be tolerant. Oh, and of course, that there’s no post on Sundays! His death drove home a scary realisation: the Potter series was really, finally, over. Our childhood had ended. No remake could ever even begin to create the same magic that this had, because the people would no longer be there; the ones we associated the whole story with. If the change of the actor who played Dumbledore after The Chamber of Secrets made such an impact, what would happen once the whole cast got warped? It is safe to say that being a Potterhead will never be the same. To the man who made Uncle Vernon come alive, I raise my wand. You were more important to more people in more ways than you’ll ever know. 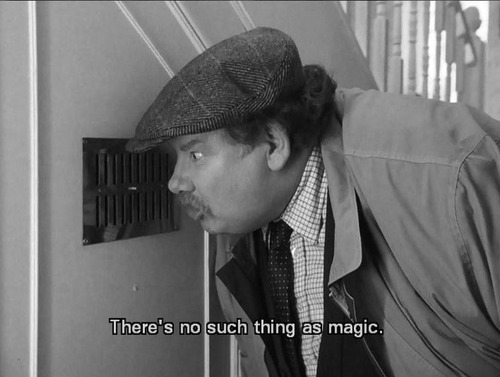 May your soul forever rest in peace, Richard Griffiths. Tagged books, celebrities, childhood, death, dursely, harry potter, hogwarts, muggles, potterhead, richard griffiths, RIP, the endBookmark the permalink. Ah yes, his death was and will be mourned by many.